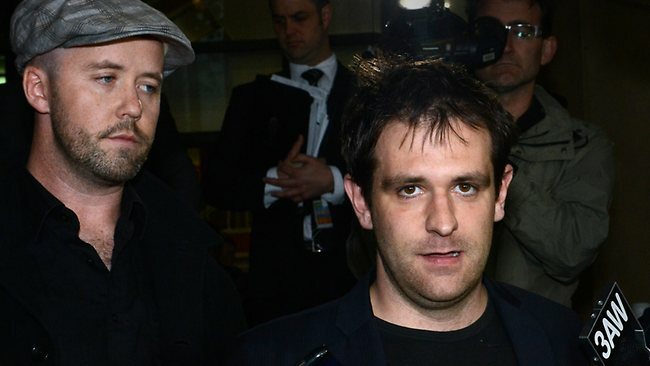 Jill’s husband Tom Meagher. Photo from Herald Sun. Very sad news about the Jill Meagher missing persons case. It is a tragedy and our thoughts are with Jill and her family. The news.com.au report is here. Please make note of the statements today by Jill’s husband Tom and also Victoria Police that care should be taken when making social media posts about this case to ensure the outcome of a future trial is not compromised. Victoria Police statement is here. Also, here is an ABC news report including tributes to Jill from co-workers. Jill Meagher’s Brunswick disappearance – can you help identify these people? Police have just released this clip showing people they believe can help with their investigation into the disappearance of Jill Meagher in Brunswick on Friday. Also there are more photos at news.com.au here. If you can help identify these people please immediately call Crime Stoppers on 1800 333 000. Today I read two articles arguing why Labor should not vigorously campaign to take votes from the Greens as we approach the federal election instead allowing both parties to focus attention on tackling the conservatives. You can read the article by Dennis Altman here and by Nicholas Barry here. I’m not getting into whether the suggestions by Altman or Barry are worthwhile aspirations instead I want to address their key points in our current political climate – and I just don’t buy the core political arguments being made. The first broad argument is laying off the Greens can deliver a better preference deal for Labor; the second argument, Labor should see the Greens as kindred-spirits and work more cooperatively to maximise the non-conservative vote. Both suggestions would have been useful to the Greens and Labor at last federal election but the current political climate is very different. The preference argument doesn’t stack up for me because Labor is in the box seat where Greens preferences are concerned. Federally, voters must indicate a preference and I just don’t see how the Greens could or would, in the current political climate, encourage their supporters to preference Liberal. This leaves the question of the Senate and I think here, based on recent polling trends, it will be the Greens most in need of Labor preferences. I’m not convinced Labor could easily be convinced to back off attempts to retake votes from the Greens in this climate – there just isn’t enough in it for them. The higher your vote the better position your party will be in to negotiate a preference deal. Labor will simply campaign hard, taking as many votes from the Greens as possible and only then make a final decision about preferences. The second argument is Labor should work more cooperatively with the Greens to maximise the non-conservative vote. Since Labor has already devised a strategy to begin retaking many of the votes they have lost to the Greens over the last three election cycles its hard to see why Labor would now see any political benefit for themselves in soft pedaling on the Greens. It is time the Greens realised Labor is unlikely to do them any favours prior to the federal poll – you can argue all you want about whether it is in the long-term interests of both parties but the fact is Labor is going to be interested only in their own political health. And if you listen to Labor figures like Paul Howes the Greens could well be the focus of a good deal of Labor’s attacks. This means the Greens need to work out why their vote is softening, realise Labor will not be doing them any favours and start thinking seriously about where the preferences needed to retain senate seats are likely to come from. 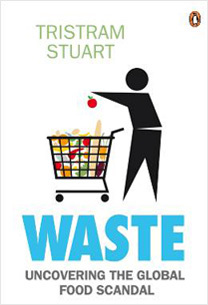 This new book ‘Waste’ is about the inefficient use of food and how as our planet reaches the limits of its productive capacity we will need to seriously think about why we accept such food waste. The author Tristram Stuart explains how with nearly one billion people hungry, the world has a food problem – or maybe just thinks it does. There are good arguments here and some ideas that can really help feed our planet. Cambodia is a country cursed by its history but it seems determined to keep itself mired in government corruption and a failure to prosecute, let alone punish, the leaders of the Khmer Rouge’s genocidal regime. I’ve written before about the dreadful situation in Cambodia and recommended people interested in the subject read Joel Brikley’s book ‘Cambodia’s Curse’ but the recent news the UN tribunal (part Australian government funded) designed to prosecute only the Khmer Rouge’s senior figures will not proceed further with the trial of Ieng Thirith is appalling. Thirith, the sister-in-law of Pol Pot and the regime’s minister for social affairs is accused of crimes that resulted in the deaths of thousands of people but is too ill for the trial to continue. This leaves just three Khmer Rouge figures facing trial – KR head of state Khieu Samphan, KR foreign minister and Nuon Chea, the KR chief ideologist known as ‘Brother Number 2’. The tribunal has managed just one verdict, to imprison the head of the infamous Tuol Sleng torture centre and prison in Phnom Penh, Kaing Guek Eav known as ‘Duch’. This is an appalling outcome for a tribunal designed to give the victims of the Khmer Rouge’s murderous communist ideology some justice and allow the country to begin a process of rebirth so Cambodia’s people can more on from their tragic history. Sadly the tribunal has been subject to much of the same incompetence and corruption seen throughout much of Cambodia’s government apparatus and the consequences are obvious – despite being responsible for the brutal murder of close to one quarter of the population of Cambodia, close to 2 million people – decades after these monsters have been removed from power there has been just one judicial verdict. Its enough to make you sick. And Australia’s government, who is part-funding this charade should be asking serious questions about how this UN endorsed tribunal can be working so slowly that it appears to be almost trying NOT to reach verdicts until the accused are so old or frail that their trials must be stopped. 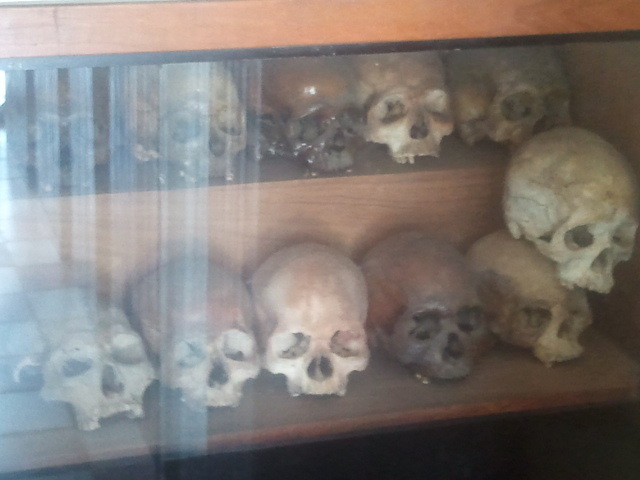 Remember, all the Khmer Rouge leaders on trial are in their 80s. This is very old by Cambodian standards but let’s face it, they all had access to better food and healthcare than just about every other Cambodian during the country’s worst times. And these evil people were the one’s pointing the guns and creating the twisted ideology. You can read the details of the tribunal’s decision to release the Khmer Rouge’s ‘first lady’ in The Age here but you will probably wish you hadn’t. 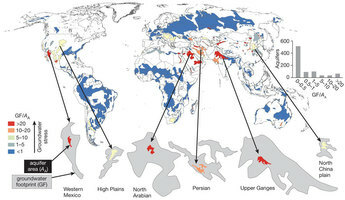 You can read my article titled ‘Water shortages will mean our planet needs a non-meat diet’ by visiting Green Earth Group here. The article explains what this rather complicated but very useful graphic from the journal ‘Nature’ will mean for global diet in the future. Global food prices reach record high. 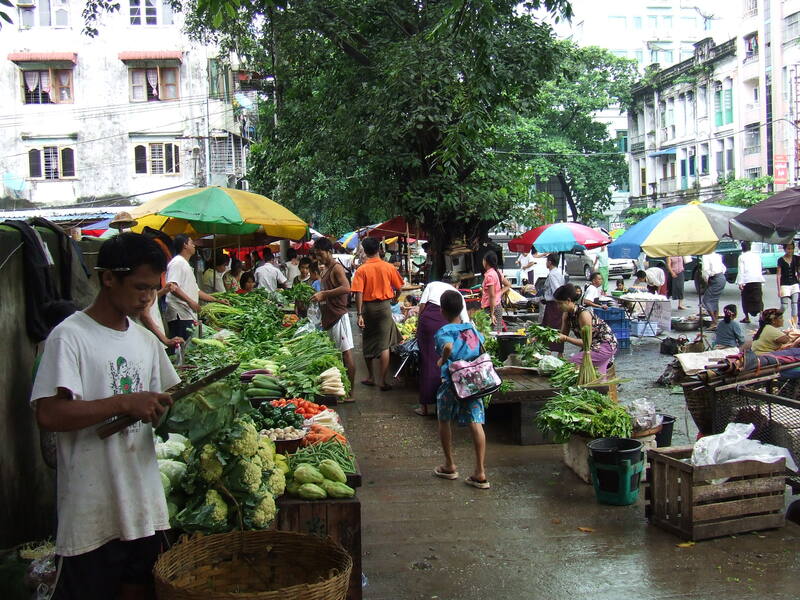 Recently the World Bank released some worrying statistics about global food prices. From June to July world food prices rose by 10% with corn and wheat prices rising a startling 25%. Current prices are now higher than the previous price peak reached in February 2011. This Reuters article about this last price peak is still worth a read. The Reuters article suggests high food prices significantly contributed to the Arab Spring. Al Jazeera’s ‘Inside Story’ this week addressed this issue and here is where you can watch the Al Jazeera piece ‘Hunger Games: the prices of feeding the world’. There are numerous contributors to the rise in food prices, changing weather patterns are a significant driver of food shortages and price rises and NGO the World Development Movement suggests speculation on food futures markets are artificially inflating global food prices. But close scrutiny of US agriculture and energy policies are also worth considering. Full credit should go to the US for being responsible for 60% of the world’s food aid. This is a noteworthy achievement but US domestic policies are causing huge quantities of maize to be diverted to ethanol production. But ultimately, as weather patterns continue to trend towards being less predictable, it is agricultural policies like this that will need to change – we simply will not have the luxury of using food to fuel our cars.